The Division by Ubisoft Massive will get a meaty content update on the same day as its foremost competitor, and it looks to provide the same stiff competition that its release suggested. “Update 1.1: Incursion” has a host of changes, enhancements, and new content. Let’s dive right in to the preview video hosted on Twitch by Community Developer Hamish Bode, Lead Game Designer Mathias Karlson, and Game Director Petter Mannerfelt. For those who’ve reached level 30, update 1.1 is going to change a whole lot. Item Levels are disappearing, replaced at maximum level with a “gear score” number functionally identical to Destiny’s “Light levels.” That gear score will be very pertinent to your interests, because it will serve as a guide toward the content you can reasonably expect to accomplish. The Incursions for which the update is named are new group missions similar to raids in other MMOs and will easily be the hardest content in the game. “Falcon Lost” will have you face the Last Man Battalion once again, in action that will absolutely require a synchronized squad of players with efficient synergies and teamwork. Group coordination will be even more important than in the current “challenge mode” daily missions, but the rewards justify the risk. A new tier of green “set items” will debut in update 1.1. From the precision-focused “Sentry’s Call” set, to the full frontal assault of “Striker’s Battlegear” or the squad support “Tactician’s Authority,” these item sets are individually almost as powerful as a high-end item. But it’s when you acquire multiple set pieces that the real benefits become apparent. In addition to stacking bonuses for each piece of a set you have equipped, fully completing a set will grant an extremely powerful talent. For Dark Zone aficionados, there’s a “Path of the Nomad” set that promises to be “very useful” in the Dark Zone. The Gear Sets bring an important trade-off to the endgame. While individual high-end gear pieces might be generally superior for their unique benefits, green items must be considered in combination to be truly effective. Also, because the benefits of a set are very specific, it’s not a one-size-fits-all situation. You’ll need to ensure your loadout matches your role and the task at hand. 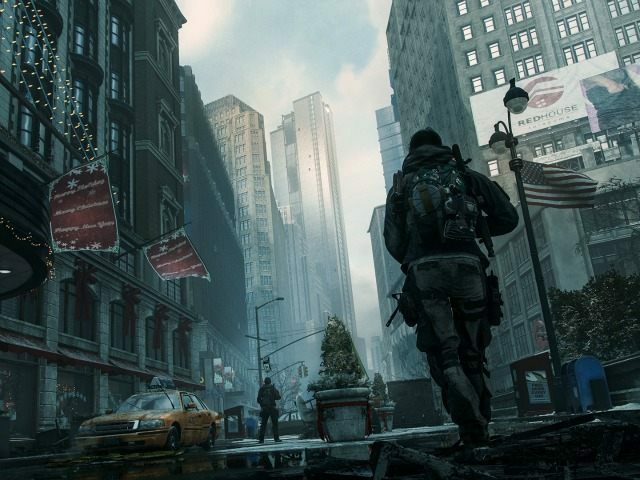 You’ll probably need the benefits provided by the best loot, because the Dark Zone is getting even more dangerous. While many players have avoided the risk of attacking one another in the free-for-all central area of plague-ridden NYC, the new “Supply Drops” in the free-for-all area will lend your excursions a little bit more desperation. Roughly every hour, a crate of premium loot will drop somewhere in the Dark Zone. The first group to claim it gets it, period. Things are about to get bloody. The Supply Drops aren’t contaminated, either. So while most Dark Zone gear must be extracted from the zone before it can be used — and can be stolen from your bullet-riddled corpse until you get it out of the zone — Supply Drop equipment can immediately be used. That means that stopping anyone else from claiming that drop is imperative. You can’t just let someone else do the work. In case you need even more to keep you occupied, weekly and daily “assignment” subquests will fill whatever cracks are left between the rest of The Division’s endgame. Assignments are simpler subquest objectives that will reward you with Phoenix Credit currency and some “Division Tech” that was only teased in the video preview. And if all of the rewards you’re getting don’t suit your style, you’ll finally be able to trade them with your compatriots. Item trading is being introduced within groups, so that one person’s vendor trash can truly be another agent’s treasure. Now working with people you trust has even more benefits. Most of this content can be accessed by anyone at level 30 with enough ambition to attempt it, but the challenge mode of the Incursions will have a required cumulative Gear Score to make sure you’re not grouped up with people biting off far more than they can chew. It will ensure that by the time someone is ready to take on the toughest content, they actually have a chance of completing the punishing missions. That’s all we know for now. The guys were noticeably cagey, mentioning “surprises” and biting their tongues on various features and details being saved for reveal when the update releases. I guess we’ll have to wait and see what other tricks Massive has up their collective sleeve.